PICTURE ROCK'N'ROLL, here to make your eyes dance. FULL COLOR FUN comin’ atcha FULL SPEED! 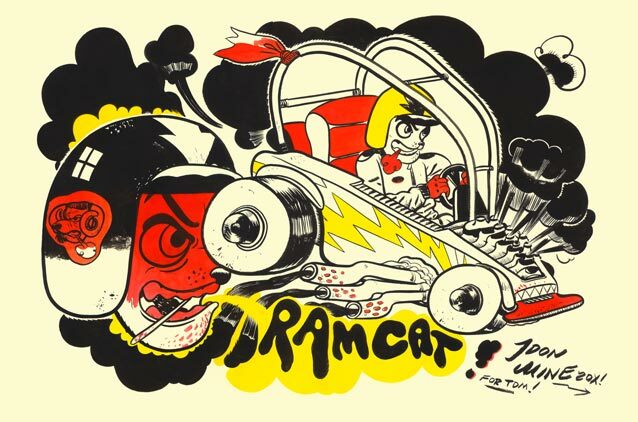 My buddy Tom’s band RAMCAT just finished their recording/mixing/whatever of their first record and it’s a load of great AVANT-PUNK. I’ll let you know more when I know more. Meanwhile, here’s a Poster drawing for you to check out. You are currently reading RAMCAT POSTER at IDON MINE.